Some people are passionate and then there is Iyan. Iyan is a light-hearted and fun-loving 21-year-old who loves music, especially his favorite band, A Day to Remember. Originally from Puerto Rico, he moved to the Orlando to seek a better life where he began studying sound technology at Valencia College. Just after his 20th birthday, Iyan received news that would change his life forever: he had cancer. I found a lump on the side of my neck about the size of a golf ball… I woke up in the middle of the night with the worst pain I had ever been in my life, I could barely breathe and my chest felt as if it were collapsing. After 3 days of this, I drove myself to the hospital and ended up spending the night there after several tests… Six days later, the doctor walks into my room and I am diagnosed with Advanced Stage 2B Hodgkin’s Lymphoma. Iyan had to put his life plans on hold and quickly found himself undergoing chemotherapy. But, he didn’t let his diagnosis affect his spirits. 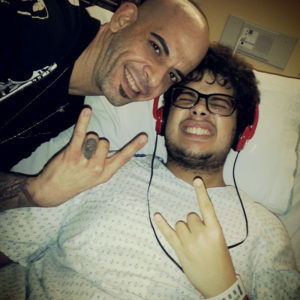 He continued to do the things he loved, listening to music to get through his treatment. 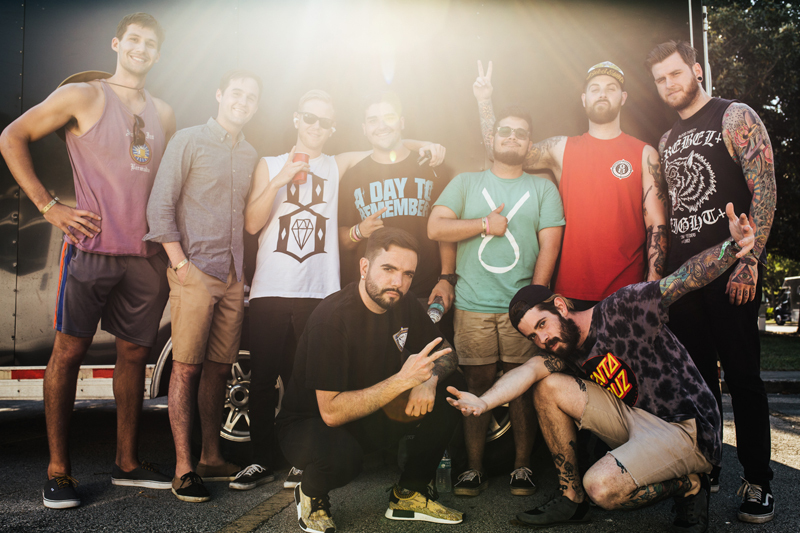 I can’t put into words how much [A Day to Remember] helped me through my treatment. I want to thank you. Thank you for making amazing music and putting it out there for the world to hear. It offered me the small breaks that I needed to catch my breath and take one day at a time during my treatment. When we asked Iyan what he wanted to do for his Life Adventure, he wanted one thing: to meet A Day to Remember. Thanks to some help from several partners including the Fxck Cancer Foundation, Welcome to Rockville Festival and A Day to Remember, we were able to make Iyan’s dream come true. 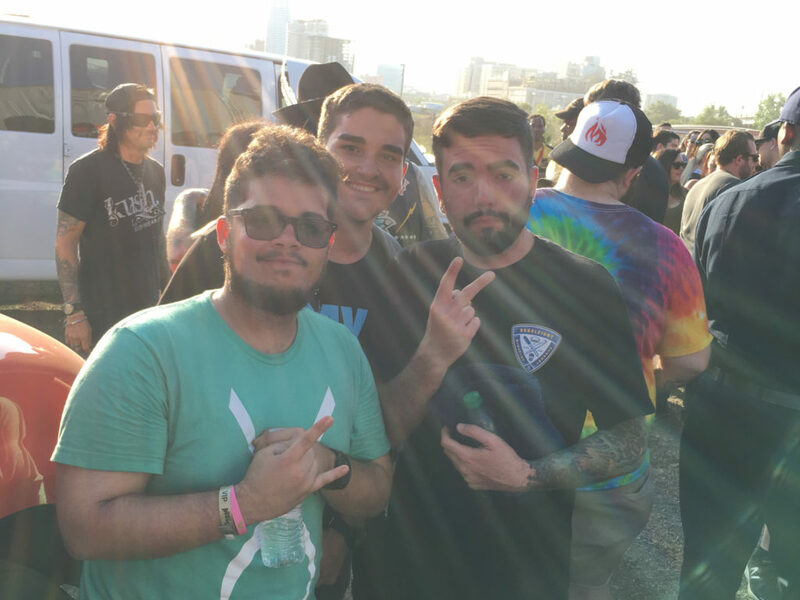 Iyan’s best friend Jimmy flew in from Puerto Rico to join Iyan in attending the Welcome to Rockville Festival 2016 in Jacksonville, FL. We put the guys up in the Omni Jacksonville Hotel for the weekend, just down the street from the festival. 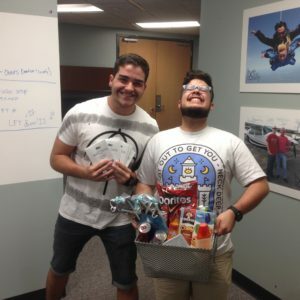 With their VIP tickets and some much needed snacks and energy drinks in hand, they were off to see their favorite bands. Iyan is now in remission and pursuing a degree in sound technology. He hopes to one day open his own music studio. We wish you the best of luck in you future health and endeavors Iyan!